Irrigation is a critical concern for homeowners in the Southwestern U.S. Because of the low annual rainfall, it’s essential to design a landscape with an eye toward conserving water. One effective solution is to ask the landscaper to plant drought-tolerant flowers, shrubs, trees, and succulents. These plants can thrive even when rainfall is scarce. Professional landscapers also recommend the following water conservation strategies. Setting up a standard sprinkler in the yard will waste water. Instead, upgrade to a professionally installed irrigation system. You’ll be able to precisely control how much water is diverted to specific areas of your landscaping. When you’re shopping around for irrigation systems, make sure the one you choose has an automatic rain shutoff device. This device can sense when rain has fallen. It will shut off the irrigation system to save water. Upgrade your existing irrigation system. 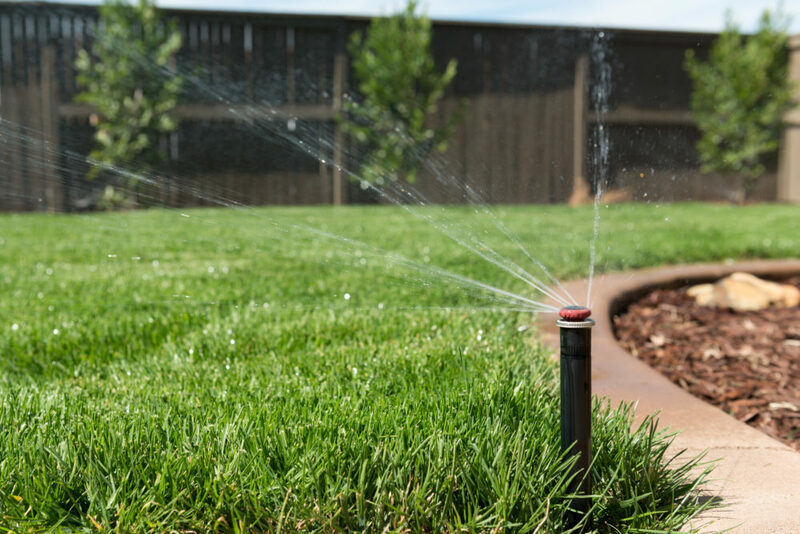 Even if you already have an irrigation system, your property might benefit from an upgrade. Consider having a weather-based smart controller installed. This investment can improve your irrigation efficiency considerably. You might also consider installing new, water-efficient emitters, especially if your rotors, sprinkler heads, or drip irrigation emitters are older. Apply a generous layer of mulch. Mulch is like the secret weapon of landscapers. When properly selected and applied, mulch can make a huge difference in root zone cooling and moisture evaporation. Plus, if you use organic mulches like wood chips or shredded bark, you’ll give the soil some much-needed nutrients as the mulch decomposes. Arizonians might not get much annual rainfall, but the monsoon season can still bring some heavy rains. Consider installing a rain barrel to make the most of your rainfall. Talk to a professional landscaper about integrating the rain barrel into your irrigation system. The professional landscapers at Complete Landscaping are highly trained, certified, and dedicated to continuing education to better serve the needs of our diverse clientele. If you’re looking for ways to reduce water waste in your landscaping, you can reach our office in Tucson at (520) 323-8918.